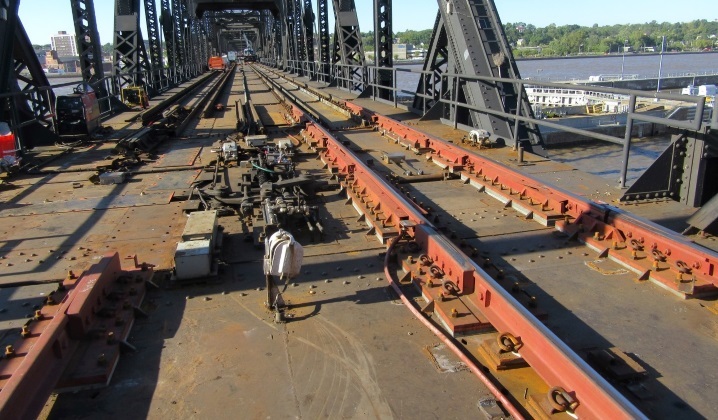 Arsenal Bridge Lift Rail Installation | OCCI, Inc. The project was completed by OCCI in the Fall 2016. 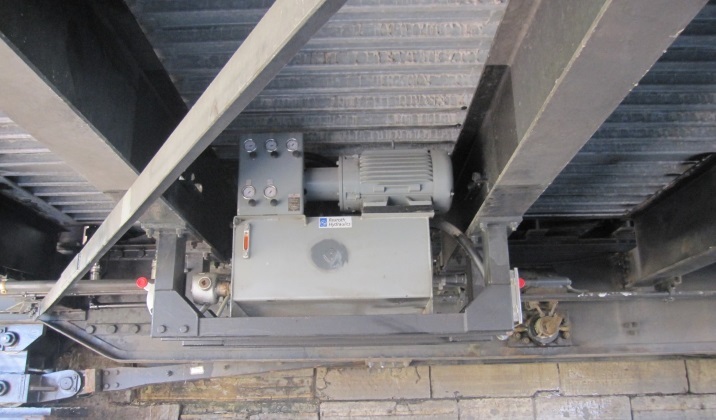 The existing rail locks were removed and replaced with new rail lifts, the HPU’s modified and tested, electrical components re-routed. 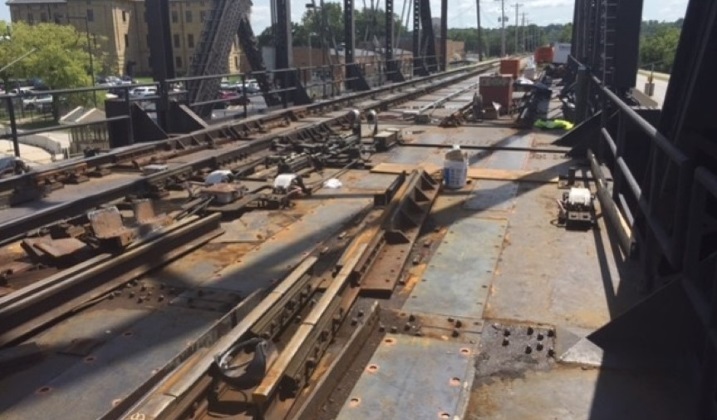 The work required navigation, rail and road closures.